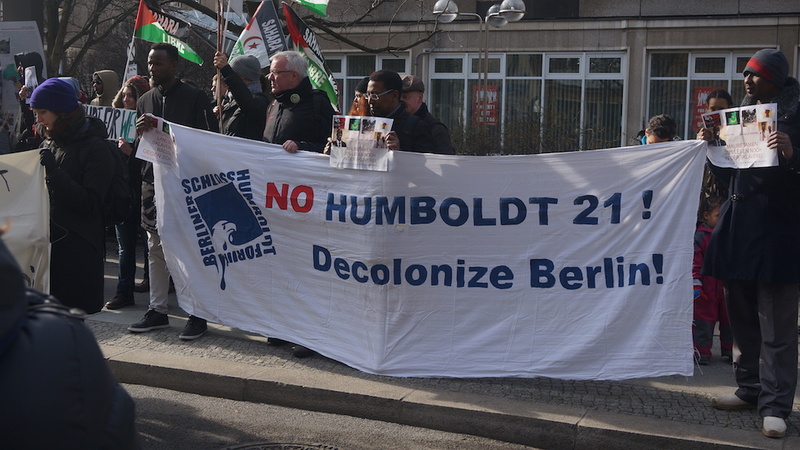 Home / Articles / Campaign / info / News / web / On the “Columbus Day”, we talk about European Atrocities: The German Genocide in Africa – Herero and Nama from all around the world gather in Berlin. 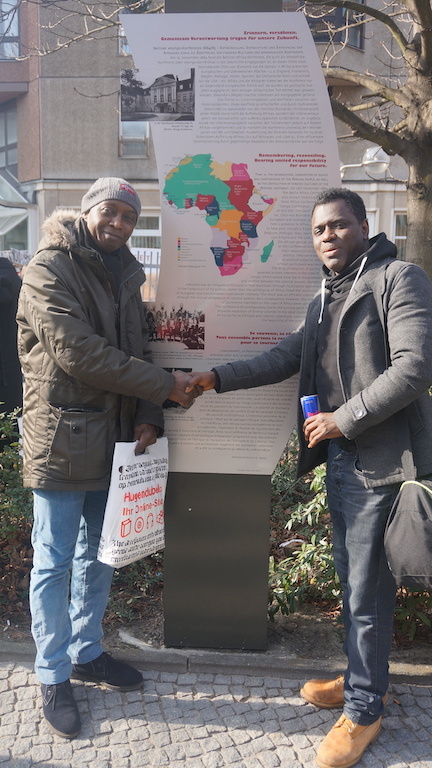 P.E.A.C.E, a Pan-African network and platform Organization with headquarters in postcolonial Cameroon, is following the developments on the coming together of the Herero and Nama people of Namibia (from the 13th of October 2016), from all over the world during a transnational Genocide congress in Berlin. 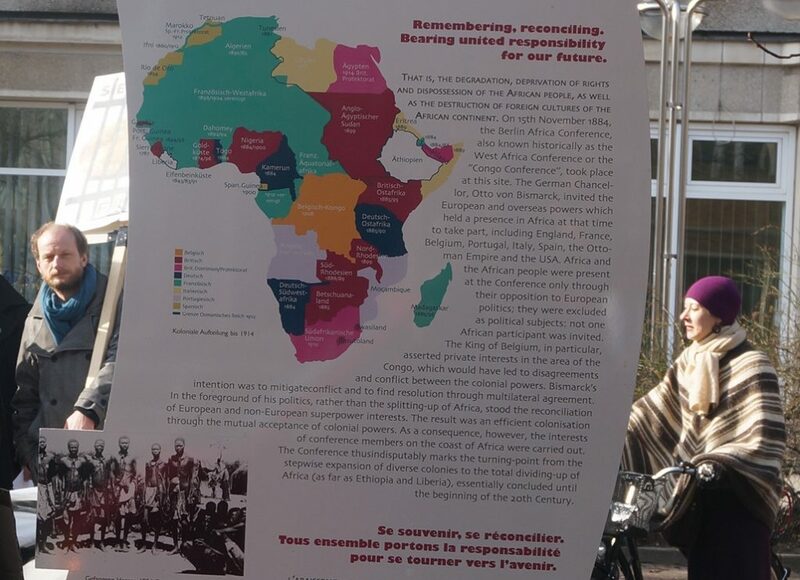 Discussions on what befell the African continent in the past in regard to colonialism and the genocide that took place in various African countries during and in the aftermath of colonialism are to take place. On the 14th/15th, they will also meet with activists of the African/Black Community. Although the German Federal Government has refused to engage in an open discussions with the communities affected by colonial crimes and genocide, a number of the descendants of the victims of the genocide from various African countries are expected to participate in this civil society congress known as “Restorative Justice after Genocide”. Among the events will be the special exhibition called the “German colonialism – Fragments of its history and present”. And in the effort of the affected descendants demanding back what was taken from them as in the case of Namibia, where the German settlers violently and brutally occupied land that belonged to the Namibians, PEACE points out that such actions led to today’s power dynamics, with a few white descendants owning large swathes of land in Namibia while the indigenous communities still suffer because of the colonial legacy. This should no longer exist in present times where Germany still glorifies perpetrators of colonial massacres and genocide by allocating street names to them. 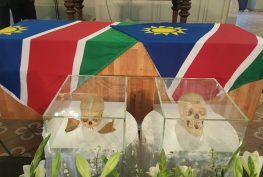 But since the German government and its civil society are not ready for an open and sincere but also critical revisiting of their colonial past, leading to Germany´s remuneration and reparations to the people of Namibia especially the Herero and the Nama people, issues like these colonial crimes would not be successfully dealt with and concluded. Germany is only interested in discussing issues with the Namibian government, excluding the descendants of the first genocide of the 20th century. The negotiating leader of the federal government, Ruprecht Polenz (CDU) also rejected the invitation to participate in a panel discussion with Herero and Nama associates in this genocide congress in Berlin. This is symbol of noncooperation and remorselessness to the Germany side and a strong signal of hindrance for further development of the Africa nations. 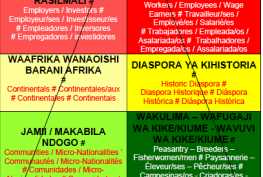 PEACE believes strongly that damages (physical and mental) caused by colonialism in the African continent are partly responsible for the continent´s failure to further critical and people oriented development. 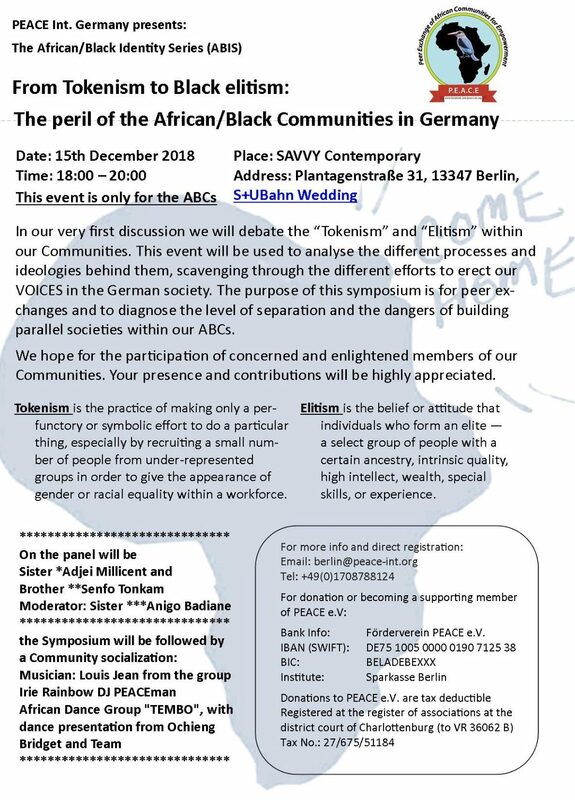 We also believe that since colonialism in Africa has its beginnings in this very country moreover in Berlin in 1884-1885 (the Berlin Conference), it is legitimate for the German authorities to adhere to these invitations and show willingness to turn the page of colonialism. Germany should take a leading role in the fight to correct the wrongs and fight for justice for victims of colonialism on African soil. The way forward for the African continent has numerous ties with Germany. First step, is to let go of the African nations and end the support to the African dictators. 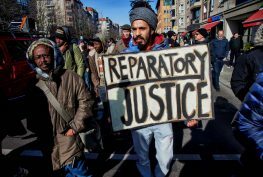 Furthermore, it should discontinue the “Dead Aid” in the name of Foreign Aid, stop deporting people from the African Communities, stop the injustice and killings of Africans in Germany and pay remunerations and reparations to the African nations to name but a few. Once one African Community is touched, all of us have been touched; the effect is extended to all African Communities just as the postcolonial Motto claims that not a single country in the world was spared the post- colonial effects. 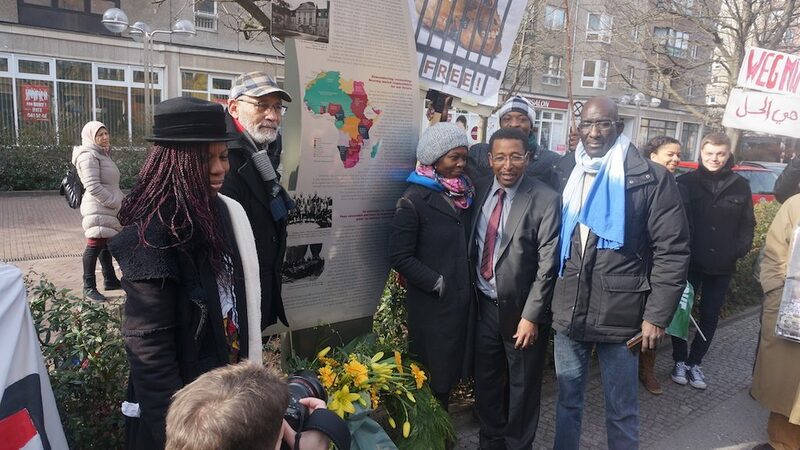 PEACE is also heavily concerned as to the continuation of the exclusion of the descendants of colonialism in respect to the African-German history. 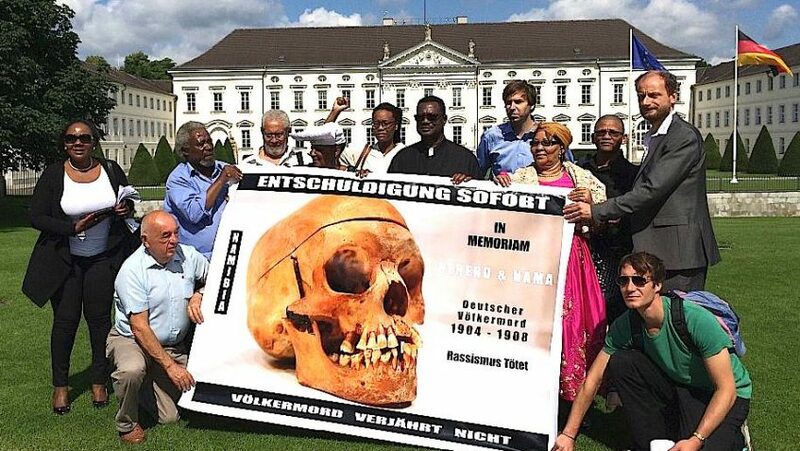 Also the officials of the German History Museum have refused to acknowledge the presence of the Herero and Nama representatives in Berlin for this occasion. Before the beginning of the event on the 14.10.2016 at 10am in the parliament in Berlin, there will be a press conference organized by MdB Niema Movassat (Die Linke) with the Herero and Nama delegates present in Berlin. In conclusion the congress participants shall march in protest and solidarity, to the Berlin Palace–Humboldt forum on 16.10.2016 from 10.30 am, commencing at the Kunsthaus Kule, Auguststrasse 10. What indeed is a wonder is that the Berlin Palace was reconstructed in the range of about 600 million euros, this was the residence of the Emperor Wilhelm ll who happens to be one of the horrible nightmares to the destruction of the Herero and Nama. Such issues must be raised as to the unconditionally settlement of the Namibians to name just a few. Immense Participation is highly appreciated. P.E.A.C.E, in solidarity we are stronger. Contact: Israel Kaunatjike: Tel: 01731035605 Alliance ” No Amnesty on Genocide – Völkermord verjährt nicht “! Regina Kiwanuka, reporting for PEACE.